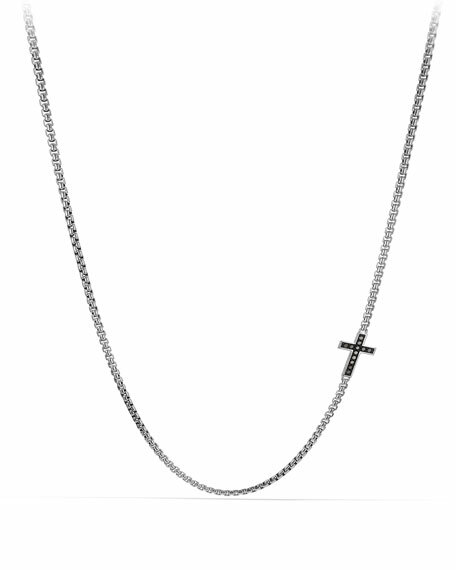 David Yurman Men's 18k Box Chain Necklace, 26"
Elongated box chain necklace by David Yurman. Polished 18-karat yellow gold hardware. Approx. 26"L; 6mm wide. Made in Italy. David Yurman men's two-tone charm necklace. 18-karat yellow gold and stainless steel. Box chain with integrated ring. Lobster clasp. Approx. David Yurman men's two-tone charm necklace. 18-karat yellow gold and stainless steel. Box chain with integrated ring. Lobster clasp. Approx. 26"L. Made in USA. David Yurman men's pendant/enhancer from the Cable Classics Collection. 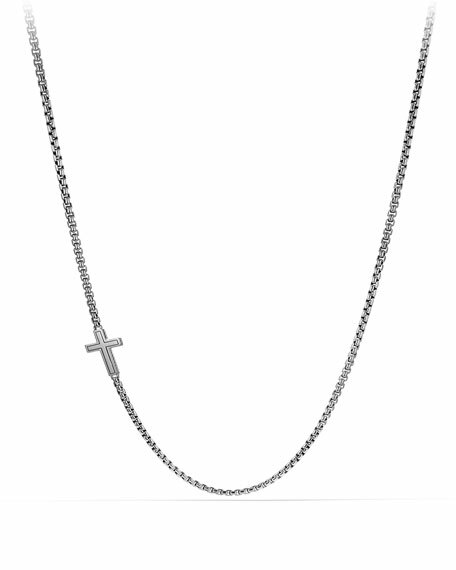 Sterling silver cable cross. 1.5"H x 0.9"W (39 x 24mm). Please note: Amulet only; chain sold separately. 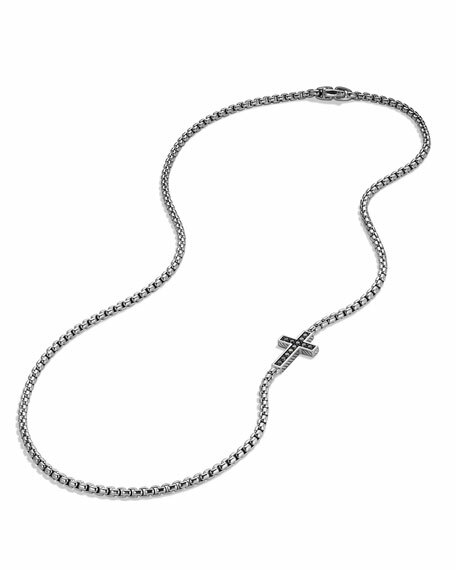 David Yurman men's chain-link necklace from the Shipwreck Collection. Textured sterling silver links. Approx. 26"L, 6mm W. Fold-over clasp. Imported.